As a recent graduate and experienced Paddl Explorer User, Linh Nguyen has kept herself busy with various opportunities outside of uni, alongside her hunt for work. Getting involved in not one, but 3 different Paddl Games experiences, as well as a volunteering role at Pause Fest, we decided to catch up with Linh and understand why utilising Paddl to build an experience portfolio like this is so important! So Linh, can you start by telling us a bit about yourself? I graduated from the University of Melbourne studying Bachelor of Commerce (Accounting and Finance). After gaining some work experience in accounting and auditing, I realised that I want to do more than just ‘crunching the numbers’. I love meeting new people, listening to their stories, learning from them and helping solve their problems whether it is their work related issues or simply their quarter-life crisis. We first met you on Day 1 of the COSBOA Innovation Games back in September last year! What was that experience like? Had you participated in anything similar before? Participating in the COSBOA Innovation Games has been a truly unique and invaluable experience for me! I had been given an amazing opportunity to learn about design thinking and apply it to a real-business problem - which was to effectively use energy in a vineyard. Moreover, I got to work effectively with a group of talented people coming from different backgrounds in a short period of time, which was an interesting learning experience. Each person I met taught me different things and I am really glad that we still keep in touch. Our team had the privilege of being awarded second place, so that is also a bonus! You then competed in the next two COSBOA Innovation Games with leading companies like Australia Post and Canon. What made you keep wanting to come back? Fear of missing out I guess! :D Fear of missing out on meeting and working with interesting and intelligent people that is - on solving a challenging problem and creating a positive impact. What I also love about the COSBOA Innovation Games is the variety of the businesses participating in the games and the challenges presented as a result. In only one day, I gained knowledge of a variety of different industries and saw teams make positive impacts on their businesses, which is more than what I have accomplished in school! Most recently, you applied through Paddl to volunteer at Pause Fest - the world’s leading creativity-infused business event! What was this experience like? It was one of a kind experience with one of a kind people! I attended Pause Fest in the Speaker Liaison role, so I had wonderful opportunities to meet and talk to the world’s finest creators, explorers and leaders. All the people I met were truly inspiring for me. One of them included the Director & Principal UX Researcher at Google! He had only a short period of time in Melbourne so I was really happy when he told me that he had a great time at Pause Fest after I took him to some famous museums in Melbourne, and explained some other local hangouts he should visit! You have been very involved in Paddl Events and opportunities. How important is it to get involved and gather experiences while you study? I think it is crucial for students to gain more experiences with different activities inside and outside of study because these experiences help students broaden their mindset and also their professional networks. Studying at three different universities, I have joined a wide range of university clubs and societies, volunteered, participated in mentoring programs as well as worked at the university! 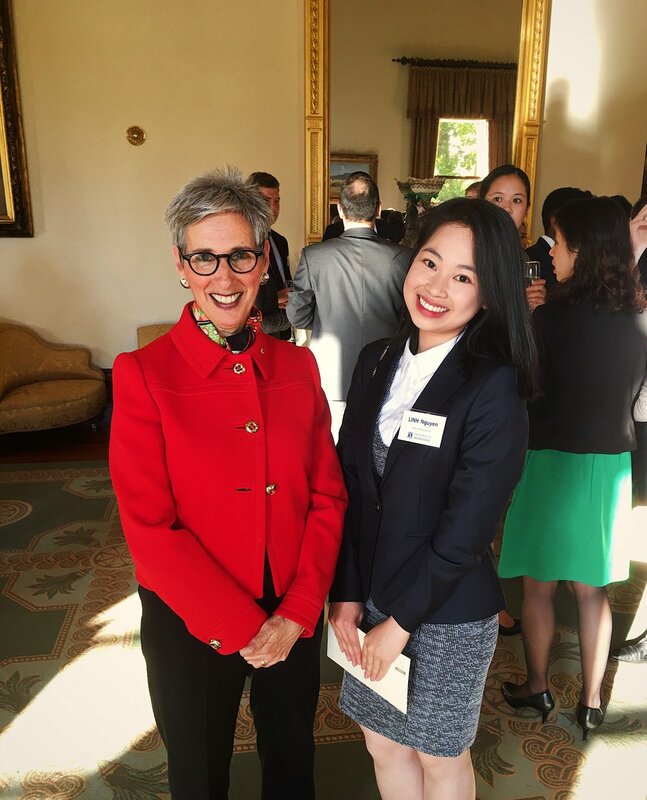 One of the highlights of my university experience was meeting the Governor of Victoria when I was an ambassador for Australian Undergraduate Business Case Competition - an international consulting case competition for the brightest undergraduate university students to propose innovative solutions to real business problems. 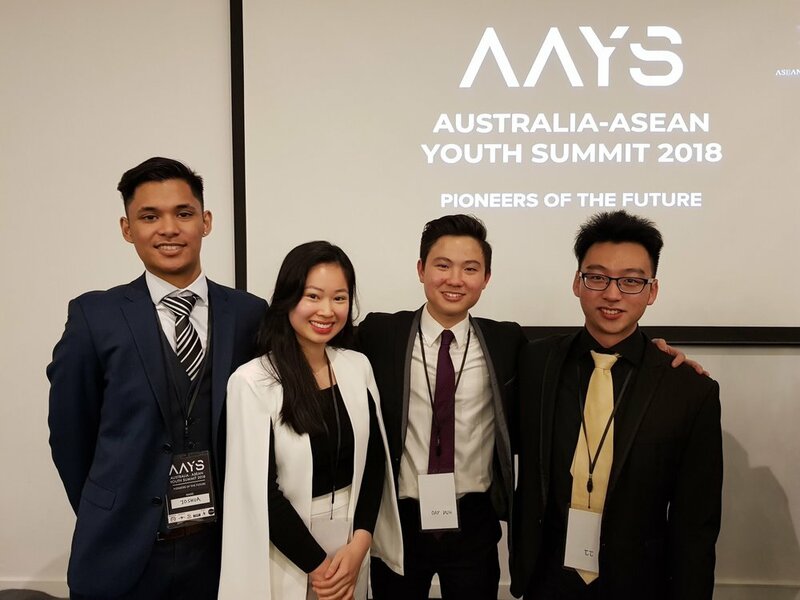 Furthermore, as a project manager at Momentium – a digital consulting startup, I successfully led and provided guidance to my team to organise the technology case competition at Australia-ASEAN Youth Summit - a youth conference aimed at enabling and empowering the youth to tackle issues, showcase their ability and pioneer the future of the ASEAN region. Looking back, I am truly grateful for what I have achieved and wouldn’t have done anything differently! What advice do you have for other Paddl users or non Paddl users looking to navigate their professional journey? For non-Paddl users, jump on board!. For other Paddl users, keep applying to all the opportunities offered on Paddl. Every experience you get is a chance for you to learn more about yourself, about what you love and what you are good at. Don’t stop paddling because you will be left behind! At the moment, I am working with inspiring leaders in The Quantum Leap project, which is a global campaign to drive the transformation required to create a sustainable future driven by the 4th Industrial E-Revolution. It includes global thought leaders, researchers, entrepreneurs, investors, industry, educators and government gathering together at major Victorian events, such as the Australian International Airshow and Aerospace & Defence Exposition or the Formula 1 Australian Grand Prix, where they explore the future of key industries, communities, public policy development and civil society. I cannot wait to see its positive and powerful impact on the world! 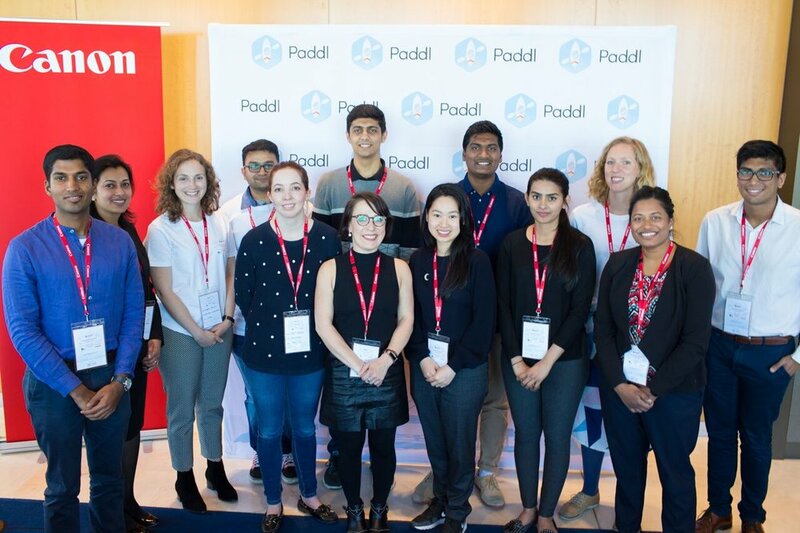 If you’re looking to build your experience profile and expand your professional network through Paddl Games and many other great volunteer, internship, casual or full time opportunities like Linh, join paddl.com today!